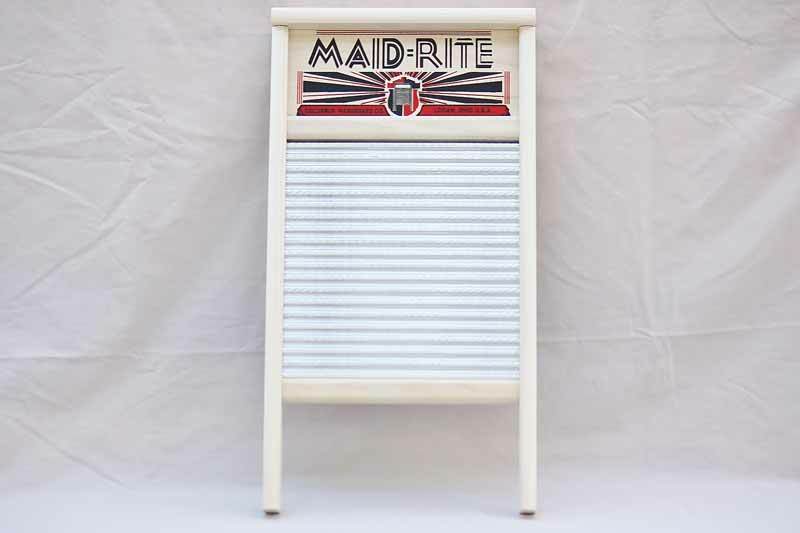 Vintage washboards add a unique, old fashioned look to your laundry room. Use this washing board to scrub your clothing or make musical notes! Washboards are used in country, folk, and blues performances. Get dancin', washin' and scrubbin with an old fashioned washing board! Washing surface Dimensions: 10 7/8" x 11 1/4"